We live in a big bad world focused on consumer products. It's possible that we own a product for every need we've ever had. Unfortunately, not all these products and brands follow the best practices when it comes to creating the product. Have you ever wondered how and what makes companies make claims like "safe for sensitive skin or won't irritate your skin." The answer more often than not is some kind of harsh animal testing. All beauty products are subject to a number of tests before release into the consumer market. Some brands are against animal testing while others support it. Most of us don't really put too much thought into products before we buy them. 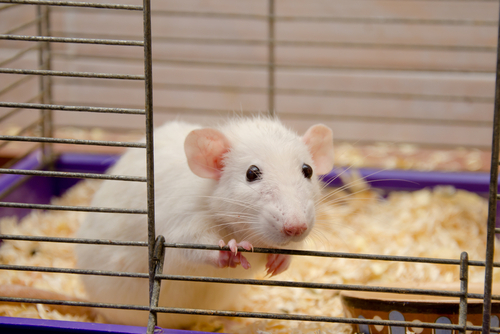 Today, we are going to give you in-depth information about the gruesome realities of animal testing! Hopefully, after this post, you'd want to pledge to save the furries too! Before we get into giving you a list of the best cruelty-free products and brands in India, let me give you a little information about animal testing. Animal testing is when brands use furries like rats, bunnies, mice, guinea pigs to as "test subjects." For example, if a brand is formulating a new hair growth serum, the serum would be tested in scientific laboratories on rats or bunnies (or any animals they see fit) to see if any of the ingredients cause inflammation, allergies or other severe reactions. Typically, a number of tests are performed on animals before releasing the product to the consumer market. At the end of these tests, the animals are typically put down or die a painful death as a result of the testing. It's not just cruel or harsh, it's absolutely gruesome and heartbreaking to know that millions of animals are killed every year. If you have the stomach for it, watch a few YouTube videos on animal testing and you will NEVER want to use a product that has been tested on animals. What Is Cruelty-Free? What Does It Really Mean? Cruelty-free products and brands are the ones that don't test their products on animals. It means - the brand, the product and the ingredients were NOT tested on animals. Therefore, qualifying as cruelty-free. It's important to read the labels and understand the brands ethics though. A lot of brands claiming to be cruelty-free often use ingredients that WERE in fact, tested on animals. The market on cruelty-free products, in general, has been booming globally. It's only recently that India too has seen an increase in the number of cruelty-free brands and products available. How To Identify Cruelty-Free Products and Brands? The easiest way to make sure that millions of furries weren't killed in the making of your lipsticks and makeup products is to look for the leaping bunny logo, cruelty free logo, or the not tested on animals logo. Brands get these certifications from different organisations and each organisation has it's own standard set of practices. Read more about it here. In the world of cruelty-free, a lot of tags are thrown around by companies. Understanding what your label really says has gotten harder but not impossible. So what do tags like cruelty-free and vegan really mean? The main difference between the two is as follows. Vegan: Vegan companies don't use any products that have been tested on animals, neither do they use any INGREDIENTS that are derived from animal sources. Cruelty-Free: This means that the final product and the ingredients used to make the product were NOT tested on animals. Cruelty-free products can, however, include ingredients that were derived from animal sources like beeswax, honey, collagen etc. A lot of brands have opened up to the idea to banish animal testing because of it's inhumane nature and because informed consumers have switched to cruelty-free products. It's been a revolution in the past decade and more and more companies are joining the leaping bunnies squad! It's definitely harder to find a ton of cruelty-free products in India, but definitely not impossible. There are a handful of drugstore brands and products that are against animal testing. We highly recommend you dive into your beauty shelf and toss away any brands and products that are tested on animals. Is it really worth killing bunnies for a beautiful red lipstick? We think not. If you're looking for a list of brands that are cruelty-free, here is a comprehensive list! It's horrible but it's true - some countries like China insist on animal testing. Here's a list of companies that test on animals. Big beauty brands and holding companies often test their products or ingredients on animals ONLY so they can retail in China and make those extra bucks. 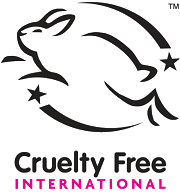 In India, we have a handful of brands that are cruelty-free or vegan and against animal testing. Some of these brands are cruelty-free, while their parent company is NOT. Do your research before investing. Here's a list of brands along with their best-selling products you can get your hands on! 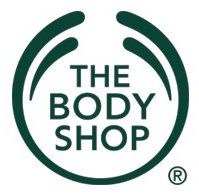 The Body Shop is a brand that houses everything under the sun from skincare, body care, makeup, hair care and even fragrances. It's a great choice of brands if you're looking for a holistic switch to cruelty-free. 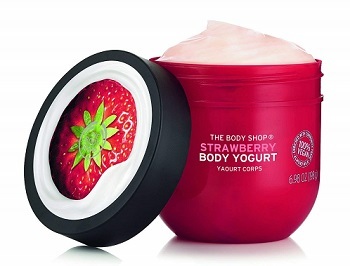 These are some of The Body Shop's best selling products! Acne, blemishes and irritated skin will be history. This face wash is mild and gentle on the skin. The Tea-tree oil extract present in this will heal, prevent and soothe your skin while giving you a blemish-free complexion. Vitamin C should be your best friend. From anti-ageing benefits to skin brightening, this magical ingredient does it all. Read about the benefits of Vitamin C here. This gel-based moisturiser will give you bright, glowing skin without clogging your pores. 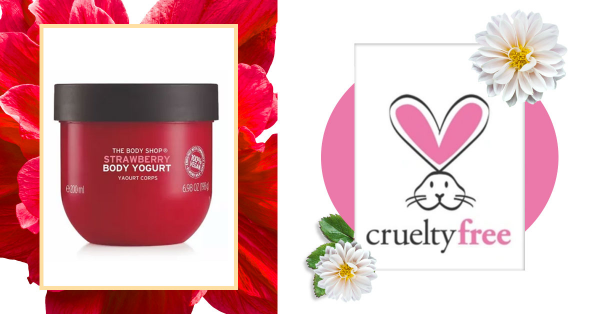 If you love lightweight moisturisers, you will definitely love the texture of the Body Yoghurt, it sinks right into your skin without leaving any greasiness behind. Definitely, recommend this for summer! A medium-full coverage matte foundation that's definitely going to wow you. The tricky part would be finding your shade match, if you do however get a perfect match, I promise you this will be your new fave. Use it with a damp beauty sponge and it'll set to the most natural looking matte finish you've ever seen. A drugstore brand from the USA, Wet n' Wild is one of the hottest selling brands in the States. They have a wide range of makeup that's not only affordable and cruelty-free it's also going to give your high-end luxury makeup a run for its money. If you're looking for a drugstore highlighter to absolutely wow you out of your mind, you definitely need to try these. They blend into your skin like a dream and can be layered to give your skin that blinding glow! A long-wearing, matte fin ish lipstick that won't dry out your lips for under Rs. 300? Can you say no to that? I know I can't! These lipsticks are available in a wide range of shades and they're going to give your expensive lippies a run for their money. Psst: You're going to find a lot of dupes for expensive lipsticks in this range. An affordable and effective concealer that's going to cover up your panda eyes and your hangover and give you next to perfect skin. It's a great formula and it photographs very well. Definitely recommend this! A luxury skincare brand that is loved by dermatologists and beauty aficionados worldwide is Dermalogica. They have some of the best, most effective skin care solutions that will keep you coming back for more. While they're definitely very very expensive, they are worth every penny. This is the brands best-selling exfoliating cleanser. It's going to become a staple in your beauty cabinet in no time. It will give your skin the mildest, most effective cleanse and you'll be left with bright, soft skin! 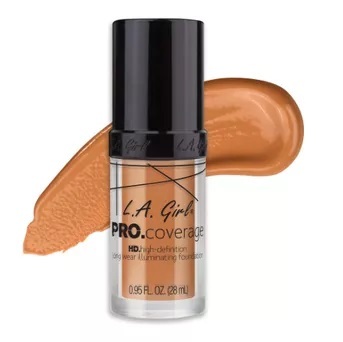 Another one of those USA based drugstore brands, L.A girl gives you cruelty-free and paraben-free makeup. That's two sticks, one stone! Moreover, the brand believes in cultural diversity - so if you're not finding your shade in local brands - this one will definitely have your fix. The brand is slightly more expensive than Wet n' Wild but definitely has a wider reach. The L.A Girl foundation is said to be a dupe for its high-end counterpart the Makeup Forever HD Foundation. It's available in a wide variety of shades including white incase you need to mix and match. It gives the most natural looking, buildable coverage you can get. If you do have oily skin, you would need to set it! A match made in makeup heaven, this is one of the brands best-selling concealers! You definitely want to get your hands on this one. It's got the creamiest, most blend-able consistency that looks like second skin! NYX too is a USA based brand and it's got a whole bunch of cruelty-free products. The brand makes everything from makeup removers to foundations and makeup brushes. Makeup artists' and beauty enthusiasts all over the world swear by NYX makeup. If you've not tried this lipstick, you definitely need to get your hands on it. It's the most beautiful mousee-based satin finish lipstick. 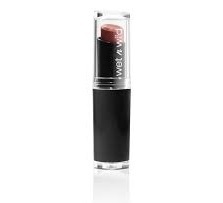 It won't settle into fine lines and it gives your lips the prettiest pop of colour. It won't dry your lips out either. This is one of my personal favourites from the brand, this foundation feels like silky water gliding on your skin. If you don't need too much coverage, a drop or two is more than enough to even out your skin! Definitely recommend this to all the newbies to makeup! A brand that was born in Sweden, it's products are clinically tested. This means that no little furries were harmed! They make some fragrance-free and multi-purpose products that'll definitely make your makeup stash a few kgs lighter. This colour correcting concealer has 4 different shades to choose from. So you can mix and match and customized your coverage to your liking. And the best part? It can even be used as foundation! A luxury hair care brand, Moroccan oil makes some of the best products that promise you wonderful hair days. While they're definitely expensive, everything from shampoos and conditioners to hair serums will have you hooked. Is everybodys favourite hair serum and with fantastic reason. A few drops of this will take away any frizziness, dryness and dullness from your hair. It's definitely VERY pricey for a hair serum, but you're not going to regret it. Ask your hairstylist if you're still in doubt! If your makeup has to be cruelty-free why not apply that same logic to your tools? Real Techniques' houses some of the BEST makeup brushes you can get your hands on. Right from a makeup sponge to a buffing brush, you're going to find everything you need to get dolled up here. 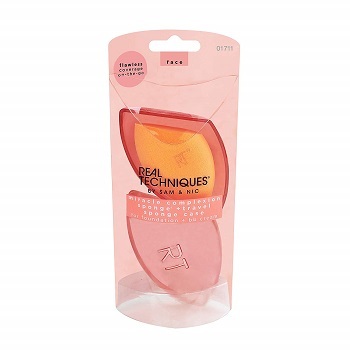 This makeup sponge is just as good as the original, very first beautyblender. It's large and soft and it makes applying makeup an absolute breeze. 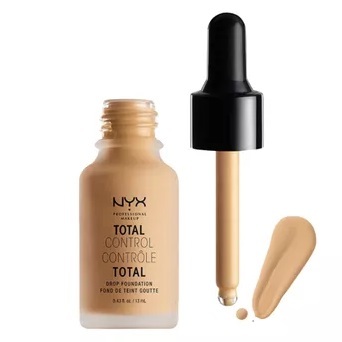 If you use foundation or even concealer on a daily basis, definitely add this to your routine and see the difference in your base. This set is equipped with everything you need to do your makeup, and it's one of my personal favourites from the brand. I picked this set up over 5 years ago and it's still in flawless condition. I use it every single day. Each brush is so multi-purpose you'll be amazed at how much value for money this turns out to be! If wellness, healing and body care is your sin - Soulflower has everything from essential oils to soaps that are kind to animals. The brand has everything you'd want to fill up your bathroom and bathtub with! This hair oil is one of the brands best, potent blends of hair oils that work in conjunction to banish an irritated scalp and relieve your hair or dryness and other hair troubles. If you suffer from any hair and scalp issues, give it a go! 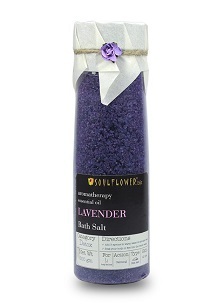 Known for its aromatherapy range, this lavender bath salt will take away all of your troubles. Toss a handful into a bathtub or into a bucket and just relax and rejuvenate. It will calm you down, mind body and soul! While the brand doesn't directly sell in India, the website ships to India. 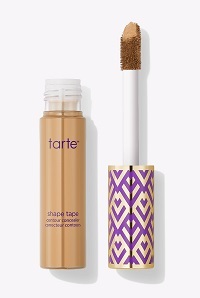 Ask any makeup junkie about concealer and they will swear by Tarte. The brand makes everything from skincare to makeup and it's totally worth the investment. This concealer hides absolutely anything and everything. Even if you haven't slept in weeks, you're going to look as fresh as a lily with just a little bit of this around your eyes. Its got a creamy, super blendable consistency and I recommend this to everyone with sever dark circles. A few other brands like Becca, Cover FX, Smashbox, Too Faced and Urban Decay offer cruelty-free makeup. But the parent or the holding company is not cruelty-free.